When working in sales, admin and data entry can take up a lot of your time. Since this time is better spent selling, you need to automate these tasks and streamline your business. Zapier is a platform which allows you to move contacts between different online applications. With a directory of 700+ apps, you can be sure to find the right combination for managing your contacts. 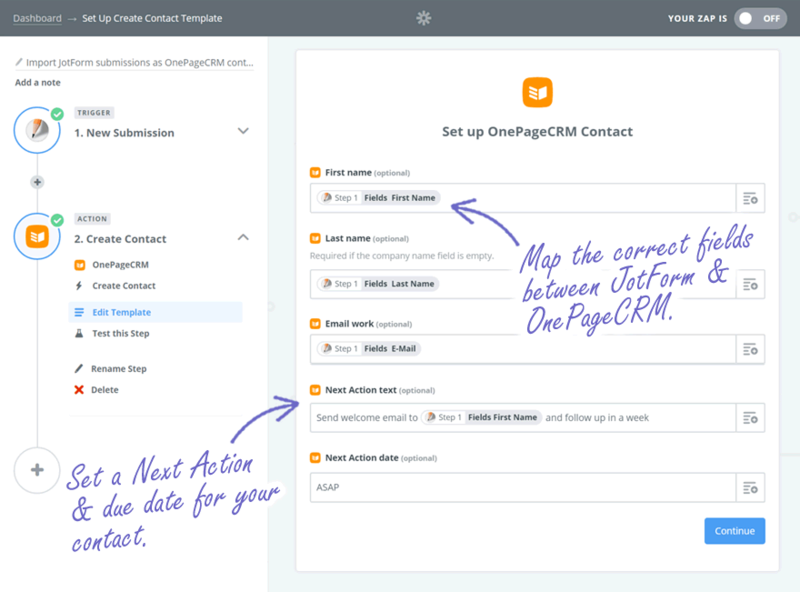 This post will introduce you to OnePageCRM’s Zapier integration and show you how to automatically send new leads from your website to CRM. I’ve also included a link to quickly set up this integration in just a few clicks below. 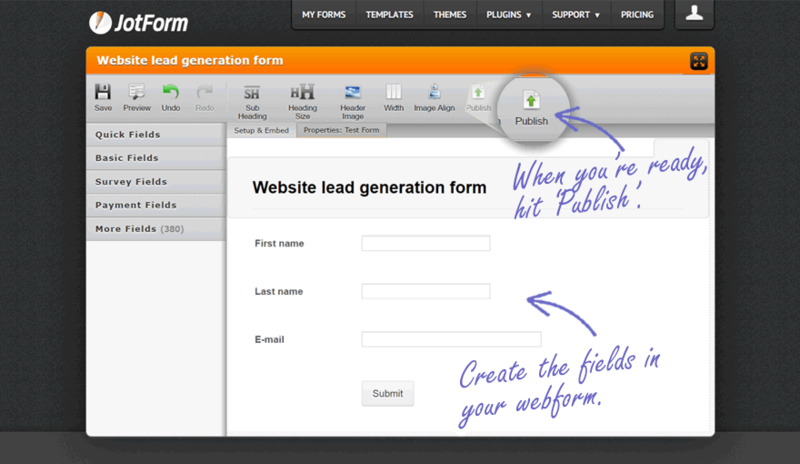 JotForm is one of many online form builders and is excellent for building and embedding these forms in your website. To get started, sign up for a free account and begin designing and creating your form. While it’s tempting to ask for a load of information, I’ve found that shorter forms get a better response rate. So for your first form, keep it to a minimum and just ask for their name and email address. Once you’re finished the designing stage, remember to preview and test it to make sure that it looks and works as expected. And when you’re ready, hit ‘Publish’ and embed it on your website. 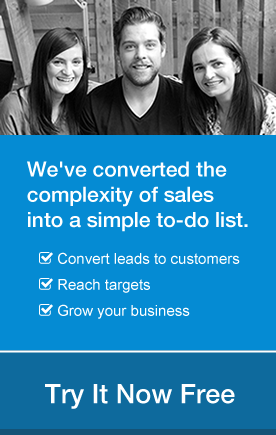 The next step is to connect your new web form to your CRM. This is done using Zapier, so you’ll need to log into your Zapier account and select JotForm as your Trigger and OnePageCRM as your Action app. Field mapping: The First name field from JotForm must match the First name field in OnePageCRM and so on. Creating a contact in OnePageCRM: You need either a Last name or a Company name at a minimum to create a contact in OnePageCRM so include at least one of these in your web form. Next Action text: To make sure you follow up, set a Next Action and due date of ‘ASAP’ for all new leads added to OnePageCRM so they’ll appear at the top of your Action Stream. If you’ve followed the steps above and prepared your JotForm web form, click ‘Use this Zap’ below and you can begin setting this integration up for yourself. Once you’ve all fields mapped, hit continue to test and complete the integration. It’s best practice to test it through to make sure it is working as expected. So enter a new contact’s information in your web form and you should see them appear in OnePageCRM. The best thing about Zapier is that you can set up the integration once and move on to what you do best – selling! If you’re using this workflow or something similar, please comment or contact me at brianm@onepagecrm and let me know how it’s working for you. 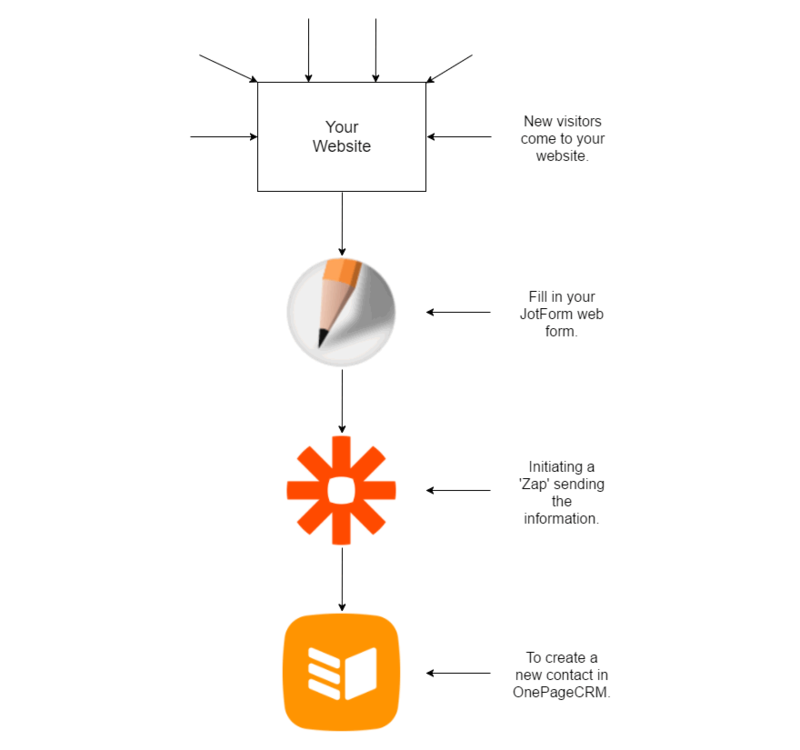 Zapier is for sure useful for the purpose of website automation! Thanks for your feedback Richa, what apps are your favorite to use with Zapier?